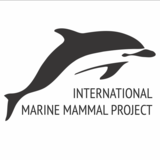 You may receive updates from International Marine Mammal Project, the creator of this petition. SeaWorld is luring people to buy tickets based on a pack of false and misleading statements about who dolphins are and what they need to thrive. They hide the cruel and unhealthy conditions that captive dolphins have to endure. Sign this petition to send a message that dolphins belong in the wild and deserve to life free from human interference. We believe that dolphins should be allowed to live their lives without human interference in the wild. SeaWorld is failing to tell the truth about what wild dolphins' lives are really like, and what they need in order to thrive. We request that you send all captive dolphins and orcas to seaside sanctuaries and to stop putting them on display for profit.